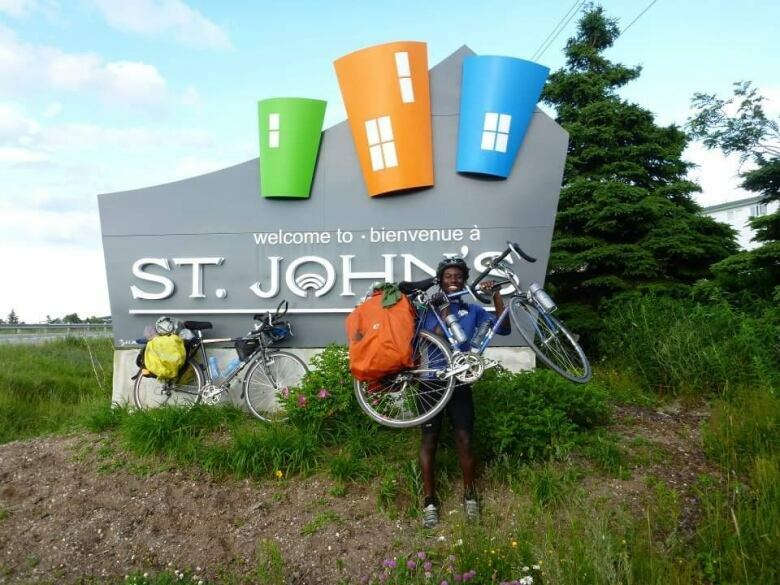 When Phillip Dwight Morgan set out to cycle across Canada, he thought the trip might answer his unresolved questions about identity and belonging. Instead, it confronted him with a host of new ones. Morgan is a journalist, poet and researcher based in Toronto. Growing up as a young black man, he had a complicated relationship with nature. "There's a significant cultural barrier and often stigma, where people of colour and especially black folks are unwelcome in the outdoors," he said. "It gets pretty exhausting to be the person who's always sort of stared at and treated as if you don't belong there," Morgan added. "So I think a lot of people have internalized that and have just decided it's easier and more comfortable to stay at home than to try and go to some forest and potentially get lost while being gawked at." But when he entered university, surrounded by students who grew up camping and embracing the outdoor lifestyle, Morgan began to reexamine his relationship with nature. "I saw this sort of different lifestyle modeled for me," he said. "I consider myself a fairly reflective and contemplative person… so I think I was just curious about some of the mental and emotional benefits of being in nature." It wasn't long before Morgan blew the stereotypes about black people and the outdoors out of the water. He became a serious rock-climber, canoeist and camper. 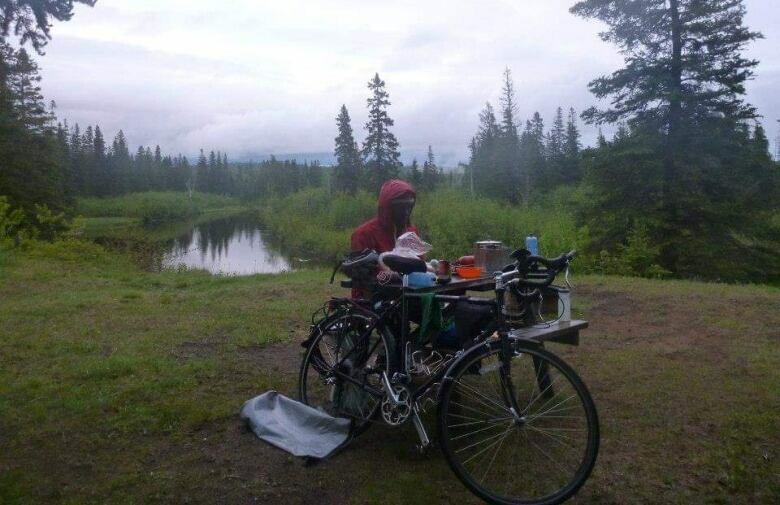 Soon, he made it his personal life mission to cycle across Canada. In the days leading up to the trip, Morgan says he had continuous nightmares: "I was convinced I was going to die," he said. But he not only completed the 65-day trip, along the way he learned to confront his fears and embrace the beauty of the landscape around him, he said. The trip gave Morgan months' worth of epic stories to tell. He would hold entire rooms captive, he says, using any opportunity he could find to share tales of his run-ins with moose, snakes or bears. But after a while, Morgan says he grew tired of telling the same stories. He began to ask himself why he felt the need to share them in the first place. "Why do you feel compelled to assert your sense of belonging in this way? Why do you need to prove to people that you're Canadian?" he began asking himself. Morgan believes the stories took on a meaning of their own. "What was really at the heart of it was someone who was deeply insecure, that was on a quest for home and trying to belong and trying to be accepted," he said. "A lot of the storytelling… was trying to convince people, you know, 'Look at me! See me! See the things that I've done!' But then I found that telling my stories over and over again actually defeated the purpose." "I actually felt less seen." Morgan says there was a lot of genuine interest in his stories and his reflections on nature ... particularly because he's a black man. But all that curiosity had the effect of making him feel even more alienated. "As a fully formed human being, who has a variety of interests, there is no worse landing point than being tokenized when you're the black moose guy." Phillip Dwight Morgan first told his story in an anthology called Black Writers Matter. The story was re-published earlier this year in The Walrus. To hear the full interview, click 'listen' above.